Did you know a 288-acre vegetable farm, called Loam Agronomics, is located just 10 minutes from Blockhouse and offers CSA memberships with delivery directly to the cafe? That's right! 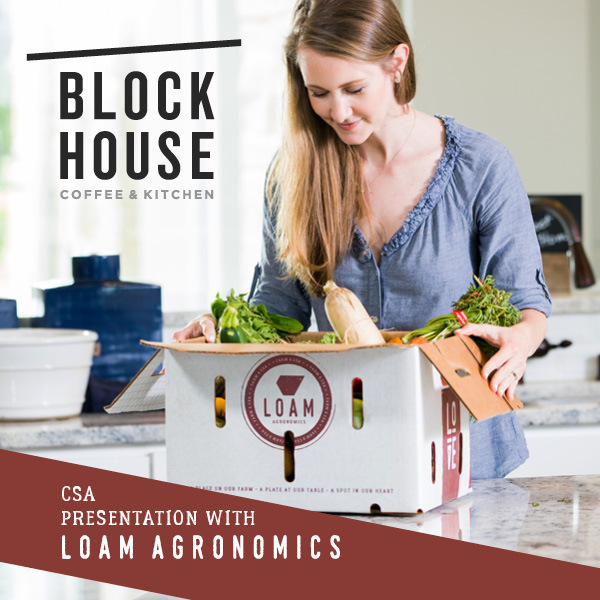 You can get a weekly share of vegetables, grown within minutes of where you live, delivered directly to Blockhouse. If you're curious about the farm, why you should join the CSA and how to do it, come take part in this free presentation. No RSVP required, just show up! We hope to see you there!